In the fight to secure non-discrimination protections for LGBTQ people nationwide, it has been important to develop various coalitions that can add their voice and influence to help amplify the issue, and show the diversity of communities that stand in favor of such protections. One of the most impactful groups fighting for LGBTQ non-discrimination is a strong coalition of people of faith, including faith leaders. People of faith are too often painted with a broad brush as being unsupportive of the LGBTQ community – but when the voices of faith leaders are amplified, this misconception crumbles and brings people of faith to stand shoulder to shoulder with many others in the movement for fairness and equality. 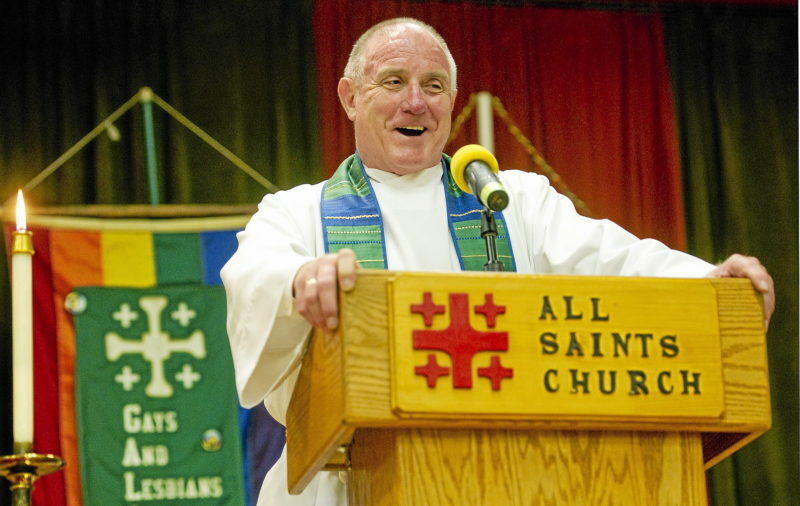 One of the most well-known faith leaders in support of the LGBTQ community is the Reverend Ed Bacon. 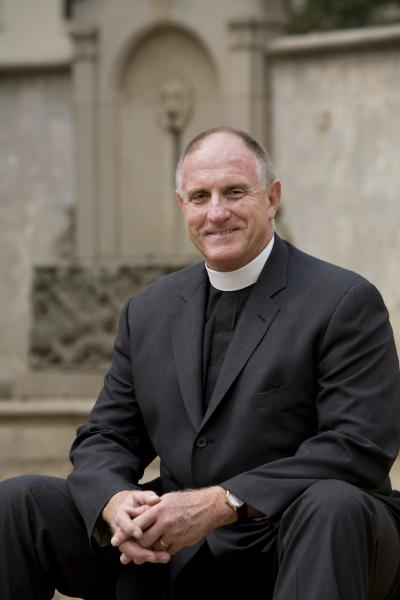 Now retired and living in Birmingham, Alabama, for 21 years Reverend Bacon served as the rector of All Saints Episcopal Church in Pasadena, California, one of the most prominent Episcopal Churches in the west. 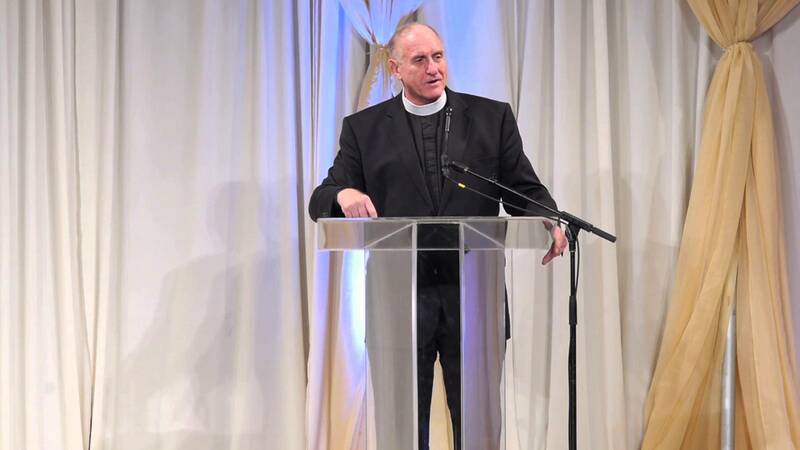 During his time as rector, the Reverend became a national leader in anti-war, civil rights, and LGBTQ rights movements, and continues to be an advocate for these issues. Throughout his life, Rev. Bacon has practiced the principles of love, acceptance, and inclusion, which he says he understood from a very early age. Rev. Bacon believes that for many years, there has been a fundamentalist hold on many practicing churches that promotes a culture of fear as opposed to a culture of love and acceptance. In a way, the Reverend says, he has practiced a sort of “holy atheism,” presenting what he believes to be the true vision and intention of God. In his book 8 Habits of Love, one of the habits Rev. Bacon discusses is building community and finding those around you who are supportive and welcoming. At the end of the day, Rev. Bacon believes that practicing and believing in love offers the true purpose of faith — to bring people together in support, understanding, and community. Near the end of 8 Habits of Love, the Reverend leaves us with a quote that entirely sums up his philosophy, and inspires us to further explore our faith and connect with those around us, as well as continue in our movement to make sure that all people are protected and feel safe in their communities.